It is estimated that there are 86890 people living in Argyll and Bute (NRS, 2015a). Argyll and Bute is relatively sparsely populated with 13 persons per km2 compared to the Scottish average of 69, and the English average of 420 per km2 (ONS , 2015). There are 5 settlements with over 4000 people in Argyll and Bute; Rothesay, Campbeltown, Oban, Dunoon settlement area and Helensburgh settlement area. The largest of these is the Helensburgh settlement area, including Rhu, with 15590 people (NRS , 2012). 52% of Argyll and Bute’s population live in ‘rural’ areas (NRS, 2015a) (Scot Gov, 2013-14) and approximately 17% of Argyll and Bute’s population live on one of 25 inhabited island (Scotlands Census, 2011). Poor health and wellbeing is more common in areas with multiple deprivation. There are eleven datazones (small areas) within Argyll and Bute that are classified as within the 20% most deprived datazones in Scotland. These are located within the 5 towns of Campbeltown, Dunoon, Helensburgh, Oban and Rothesay (Scot Gov , 2016) (NRS, 2015a). 25% of the people living in Argyll and Bute are aged 65+, this in 7% higher than in Scotland as a whole (NRS, 2015a). National Records of Scotland produce population projections for Argyll and Bute based on Mid-2014 population estimates, current birth and death rates and estimated migration rates. Between 2014 and 2024 the population of Argyll and Bute is projected to decrease overall by 3% (NRS, 2014). The number of working age adults is projected to decrease by 8% but the number of people 75+ is projected to increase by 36% (NRS, 2014). This aging demographic is a major challenge for health and social care services. In 2015, 30% of deaths in Argyll and Bute were due to Cancer with cancers of the lung, trachea and bronchus accounting for 7% deaths. Ischemic Heart diseases (13%), Cerebrovascular diseases (8%), Chronic Lower Respiratory diseases (6%) and Mental and Behavioural disorders (including dementia) (8%) accounted for a further 35% of deaths (NRS, 2015b). 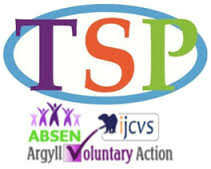 The health and wellbeing of Argyll and Bute is profiled by ScotPHO. For 52 out of 56 indicators, Argyll and Bute is either significantly ‘better’ or not significantly different from the Scottish average (ScotPho, 2016). For example, life expectancy at birth in Argyll and Bute is 77.3 for males and 81.2 for females, both of which are higher than Scotland as whole (ScotPho, 2016). The 4 indicators which mark Argyll and Bute as ‘worse’ than Scotland as a whole are People living in 15% most ‘access deprived’ areas, alcohol related hospital stays, Immunisation Uptake at 24 months – MMR, and Child Obesity in Primary 1 (ScotPho, 2016). NRS Mid-2012 Population Estimates for Settlements and Localities in Scotland [Online]. – 2012. – 11 24, 2016. – https://www.nrscotland.gov.uk/statistics-and-data/statistics/statistics-by-theme/population/population-estimates/special-area-population-estimates/settlements-and-localities/mid-2012. NRS Mid-2015 Small Area Population Estimates for 2011 Data Zones [Online]. – 2015a. – 11 24, 2016. – https://www.nrscotland.gov.uk/statistics-and-data/statistics/statistics-by-theme/population/population-estimates/2011-based-special-area-population-estimates/small-area-population-estimates/mid-2015-and-corrected-mid-2012-to-mid- 2014/tables-and-figures. NRS Population Projections [Online]. – 2014. – 12 22, 2016. – https://www.nrscotland.gov.uk/statistics-and-data/statistics/statistics-by-theme/population/population-projections/sub-national-population-projections/2014- based/detailed-tables. NRS Vital Events Reference Tables 2015 [Online]. – 2015b. – 12 06, 2016. 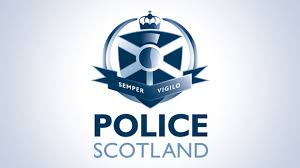 – https://www.nrscotland.gov.uk/statistics-and-data/statistics/statistics-by-theme/vital-events/general-publications/vital-events-reference-tables/2015/section-6-deaths-causes. ONS Population Estimates for UK, England and Wales, Scotland and Northern Ireland [Online]. – 2015. – 11 24, 2016. – https://www.ons.gov.uk/peoplepopulationandcommunity/populationandmigration/populat ionestimates/datasets/populationestimatesforukenglandandwalesscotlandandnorthernirela nd. Scot Gov Scottish Index of Multiple Deprivation [Online]. – 2016. – 11 24, 2016. – http://www.gov.scot/Resource/0050/00504759.xlsx. Scot Gov Scottish Government Urban Rural Classification Breakdowns [Online]. – 2013-14. – 11 24, 2016. – http://www.gov.scot/Topics/Statistics/About/Methodology/UrbanRuralClassification. Scotlands Census Table KS102SC [Online]. – 2011. – 11 24, 2016. – http://www.scotlandscensus.gov.uk/ods-web/data-warehouse.html. ScotPho Argyll & Bute Health and Wellbeing Profiles – key indicators and overview [Online]. – 2016. – 12 21, 2016. – http://www.scotpho.org.uk/opt/Reports/hwb-la/scotpho-hwb-profiles-aug2016-argyllandbute.pdf.